How are you today? Thanks so much for checking out my post. 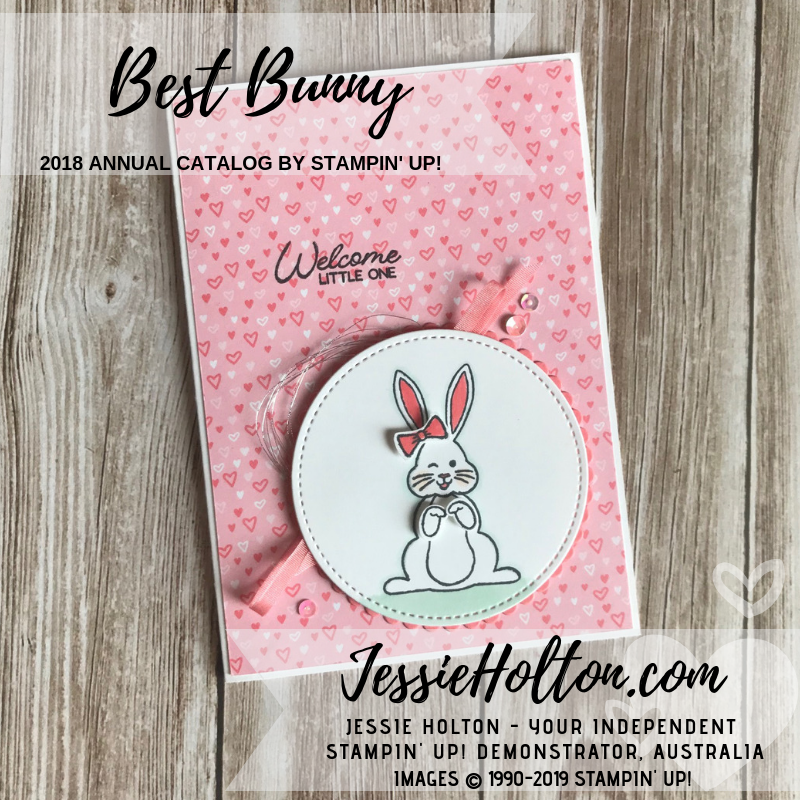 Today I'm showing you the Best Bunny Bundle, which is in low inventory & will not be carrying over into the new Annual Catalog, so please buy it now if you love it, before they're all gone! Specifically, it's the punch & the bundle that are low inventory. I made a bunch of these backgrounds on Glossy White cardstock with Red Brusho spritzed with White Shimmer Paint mixed with rubbing alcohol. 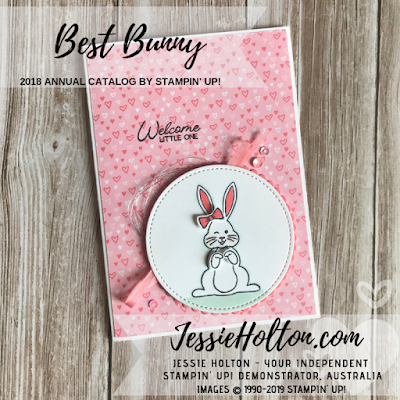 I have then used Flirty Flamingo with a few drops of water & my Aqua Painter on Thick Whisper White cardstock to go over the White heat embossed bunny. I White heat embossed the paws & bow on a separate piece & then watercoloured over those too so they matched the bunny. The circle is die cut with the Stitched Shapes Dies. I've also added the Flirty Flamingo ribbon from the All My Love Ribbon Combo Pack & Calypso Coral sequins from the Iridescent Sequin Assortment. The sentiment is stamped in Stayzon Black ink so it doesn't smudge on the Glossy background. This card is on a Flirty Flamingo base. 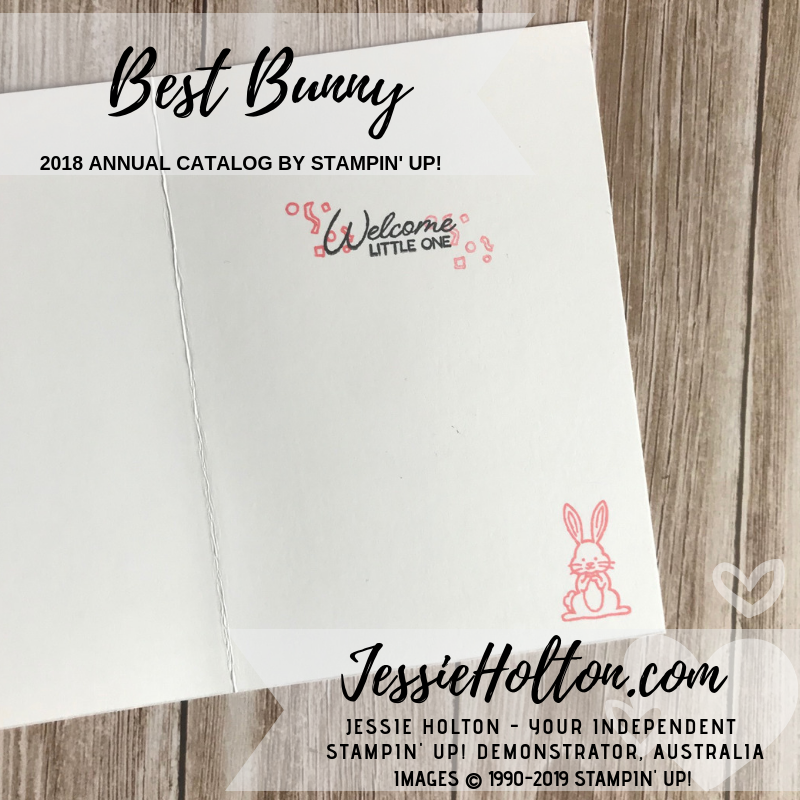 The second card uses the All My Love Designer Series Paper & I have stamped the image in Stayzon Black ink, but you could use any black ink as it's on Thick Whisper White Cardstock. I just had my Stayzon out from the first card. I have also added a Flirty Flamingo scalloped circle die cut on my Big Shot with the Layering Circle Dies. I have coloured the bunny with Flirty Flamingo Stampin' Write Markers & used the Light Mint Macaron Blends around the outside of the bunny & for the grass. I have then gone over the outline of the bunny with the Colour Lifter Blends to make the Mint Macaron into a really light shadow. This helps the bunny pop from the page. 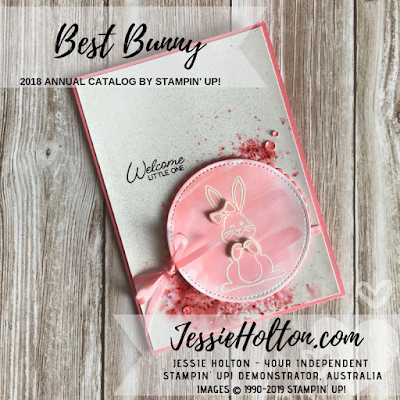 Sweet & simple on the inside using another cute bunny & confetti from the Best Bunny stamp set, inked in Stayzon Black & Flirty Flamingo. 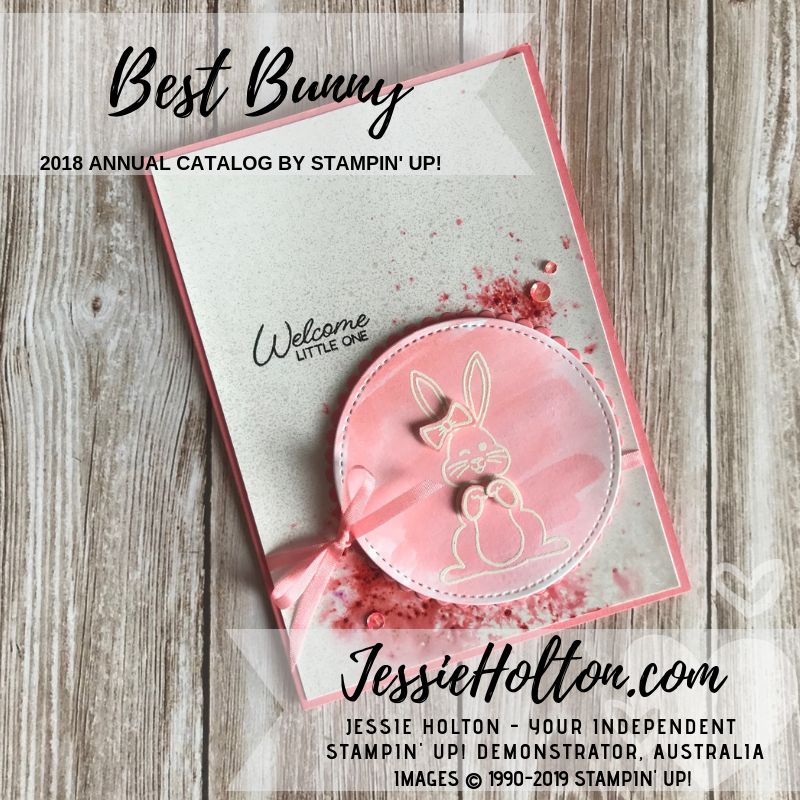 Remember to use my March Hostess Code EBQKZCGB at the bottom of your Shopping Cart, so I can spoil you! 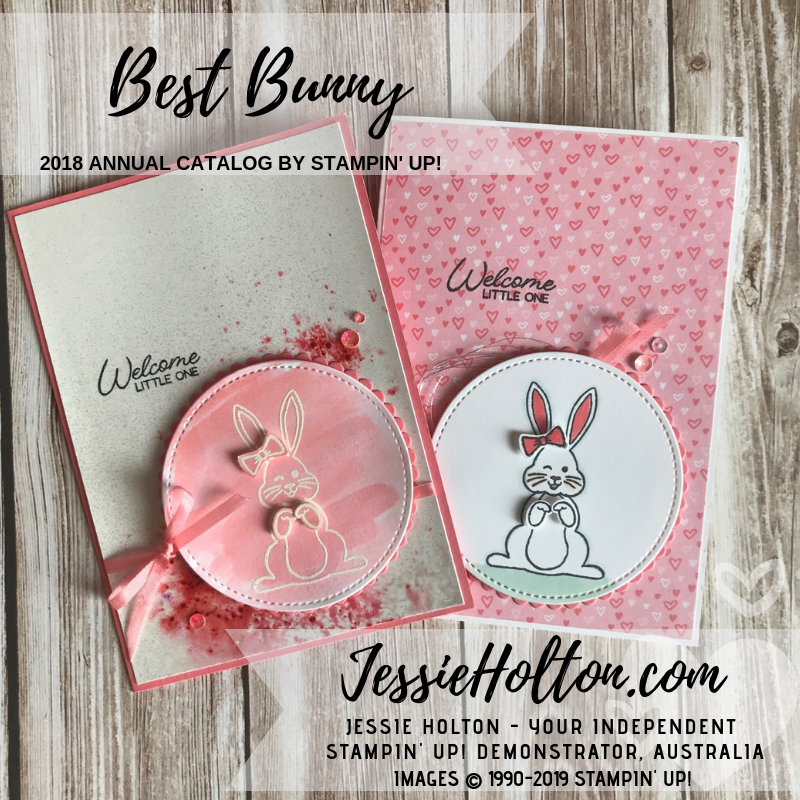 You'll get a handmade card & a Class in the Mail from me every month you shop with me & orders over $90 go in my monthly draw, too!